California Muni Bonds - Are They Solid Investment Nowadays? The municipal bond market carries two distinct types of bonds. One is the revenue bond which is guaranteed by tax revenues and local appropriation bonds which do not have the guarantee that there is a unique revenue source. California muni bonds are not different than any other municipal bond; they carry the risk of default. Most brokerage firms will carry out extensive research to determine the risk associated with California bonds and have determined that currently there are few investors divesting themselves of California municipal bonds. Most investors realize that every community situation is different and one city’s bankruptcy may not mean others will follow. Still, the best hedge against default and the falling California bond market is to diversity your portfolio to include different types of bonds, stocks, and precious metals. California muni bonds are currently a subject of concern due to Stockton, California declaring bankruptcy this summer and laying off city workers. 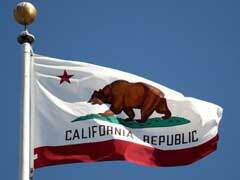 There are concerns that other California municipalities may soon follow. Bankruptcy allows cities, states, counties or local entities cease paying more interest, maturity or requested monies on held municipal bonds. Local governments relay on property taxes as a revenue source and these revenues are used to pay investors for municipal bond investments. Since the downturn in the housing industry and particularly in California, these taxes have become substantially lowered. To further deplete property tax coffers, California cities have legislative limits on levying property taxes. Proposition 13 provides a home owner cap on taxes which hampers cities communities from generating additional income. Although Stockton, California declared bankruptcy and Mammoth Lakes, California followed closely behind, brokers and investment officers stress that you need to focus on the benefits of California muni bonds. The best investment is the tax- free status of munis. Next it is important to realize that the bond market itself provides over $3 trillion in current investments and Stockton’s $500 million in debt does not come close to depleting this amount. In 2011, there were less than 1% municipal bond defaults across the nation including California. In addition, it is highly possible that you may be able to negotiate higher interest terms and bond insurance protection with different California cities. The hype that Stockton created by declaring bankruptcy, may also ensure that other California cities find ways to keep their bonds viable. California muni bonds will continue to take their cues from the Treasury market, even though the investing may be a bit slow. Performance will be driven by positioning and research on supply and demand imbalances may make California muni bonds more attractive. In other words, with the current bankruptcy of Stockton, Mammoth and now San Bernardino you may be able to negotiate more favorable interest rates, maturity dates, and sell-back returns from different California cities. Check out firms, do research and buy municipal bonds online. This is one sure way you can avoid the fees that associated with brokerage buying and give you a bit of an edge on the California bond market. Texas Municipal Bonds - Are They Safe To Invest In?